"Concretely, attackers can then read information that WPA3 was assumed to safely encrypt. This can be abused to steal sensitive transmitted information such as credit card numbers, passwords, chat messages, emails, and so on," the researchers say. Since the 15-year-old WPA2 protocol has been widely used by billions of devices, widespread adoption of WPA3 won't happen overnight. To support old devices, WPA3 Certified devices offer a "transitional mode of operation" that can be configured to accept connections using both WPA3-SAE and WPA2. Researchers find that the transitional mode is vulnerable to downgrade attacks, which attackers can abuse to set up a rogue AP that only supports WPA2, forcing WPA3-supported devices to connect using insecure WPA2's 4-way handshake. "We also discovered a downgrade attack against SAE [Simultaneous Authentication of Equals handshake, commonly known as Dragonfly] itself, where we can force a device into using a weaker elliptic curve than it normally would use," the researchers say. Researchers also detail two side-channel attacks—Cache-based (CVE-2019-9494) and Timing-based (CVE-2019-9494) attacks—against Dragonfly's password encoding method that could allow attackers to perform a password partitioning attack, similar to an offline dictionary attack, to obtain Wi-Fi password. "For our password partitioning attack, we need to record several handshakes with different MAC addresses. We can get handshakes with different MAC addresses by targeting multiple clients in the same network (e.g. convince multiple users to download the same malicious application). If we are only able to attack one client, we can set up rogue APs with the same SSID but a spoofed MAC address." Besides these, the duo also documented a Denial of Service attack that can be launched by overloading an "AP by initiating a large amount of handshakes with a WPA3-enabled Access Point," bypassing SAE's anti-clogging mechanism that is supposed to prevent DoS attacks. As a proof-of-concept, researchers will shortly release the following four separate tools (in the GitHub repositories hyperlinked below) that can be used to test the vulnerabilities as mentioned above. 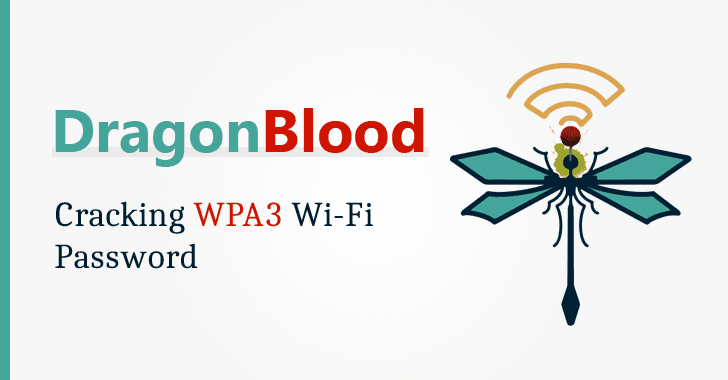 Dragondrain—a tool that can test to which extend an Access Point is vulnerable to Dos attacks against WPA3's Dragonfly handshake. "Nearly all of our attacks are against SAE’s password encoding method, i.e., against its hash-to-group and hash-to-curve algorithm. Interestingly, a simple change to this algorithm would have prevented most of our attacks," the researchers say. "The software updates do not require any changes that affect interoperability between Wi-Fi devices. Users can refer to their device vendors' websites for more information," the WiFi Alliance says in its press release. "The software updates do not require any changes that affect interoperability between Wi-Fi devices. Users can expect all their Wi-Fi devices, whether patched or unpatched, to continue working well together."